Craig M. Halperin was born and raised in Atlanta, Georgia. After graduating from North Springs High School, he conducted his undergraduate studies at the University of Texas at Austin and graduated with a B.A. in Business Economics. Craig went on to study at the University of Georgia, Hirsch School of Law on scholarship, where he enrolled in a J.D./M.Ed. joint degree program. After graduation from law school, Craig practiced corporate law until making the switch to the practice of real property law in early 2006. 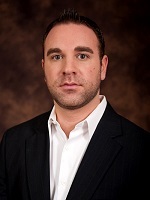 Craig has acted as the Managing Partner and CFO of Halperin Lyman, LLC since its inception. Halperin Lyman has successfully conducted thousands of closings for hundreds of different clients, working hand in hand with real estate investors, agents and brokers, both conventional and private money lenders, as well as a team of vendors specializing in real estate investments, to see each transaction through from cradle to grave. In addition to his work with Halperin Lyman, Craig is also the Owner and CEO of CGC Real Estate Services, LLC, an Atlanta based investment company providing a full spectrum of real estate investment consulting services. CGC purchases and sells its own investment properties, as well as helps other investors find inventory and buyers for their properties. Craig uses both personal and professional experience and knowledge of the economic markets surrounding the real estate industry, entrepreneurship, private investing, and finance in his consultations with clients and his speeches at educational and networking events to provide comprehensive advice for other real estate investors.